The Roster Groups function allows you to take your entire roster and categorize it. At home you might want to break it down by diesel vs. steam, or by railroad. At a club it would be handy to have categories by member name in addition to any other category you might think of. A roster entry can be associated with more than one group. Again in a club environment, a roster entry could be associated with the Steam, Union Pacific and John Smith groups all at the same time. There is always one group present and it is called Global. All the roster entries are in the Global Group. The Roster Groups will be listed in the Roster Group panel as we create them. Use Create Roster Group to define any other groups you wish. From the Settings menu Create Roster Group opens the New Roster Group dialog. This same New Roster Group dialog may be opened using the + button above. 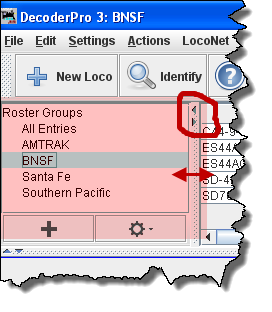 The OK button will Add the Roster Group to the list in the panel and to the drop-down list on Main window toolbar. You can now add locomotives to the Groups either by dragging from the locomotive roster list or using the Table Associate, discussed later. A window may be opened for each group if you wish. 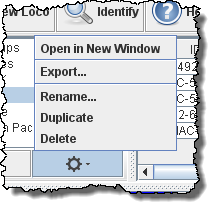 Opens Save dialog box allowing you to save the group to a file. Once the groups are named, then you "associate" the roster entries with their group. 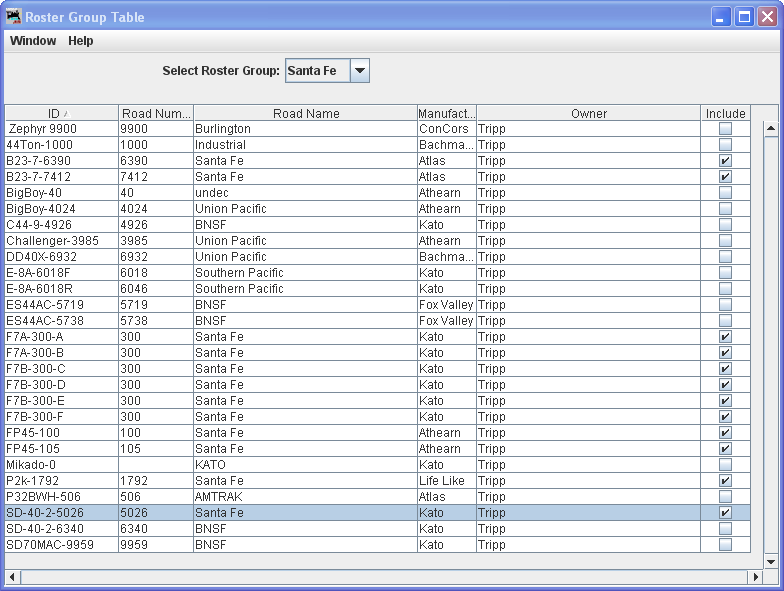 This can be done by using the Table Association selection. At the top of the table you select the group you wish the roster entries to be associated with, then the roster entries that you want to associate with that group. In the right column, Include... select the entries that you wish to add to the Roster Group, click individually to select a single item, hold the shift key down to select a range of items, hold the CNTRL key down to randomly select items. Close the Table and the entries will be added to the group. To return your roster to show all engines, Select Roster Group to All Entries, or Global. Then you may be certain that you are working with all engines in your roster. To disassociate a roster entry to a Roster Group, open Roster Group Table and uncheck roster selection and save new Group by closing the Roster Group Table.